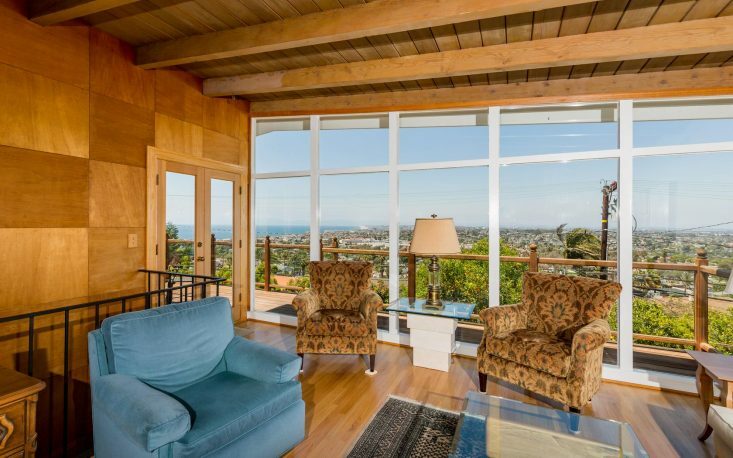 This is one of the best panoramic Queen’s Necklace views from almost every room in your home located in the Hollywood Riviera. Views abound and are highlighted by the wall of glass in the living room which is open to the dining and kitchen. You can see it all – mountains (covered in snow in winter), sparkling city lights by night, beautiful ocean views all the way up to Malibu – it’s simply stunning! The home is almost 2700 sq ft and has 3 bedrooms, 3 bathrooms, plus an amazing home office with lots of built in bookshelves and that view! 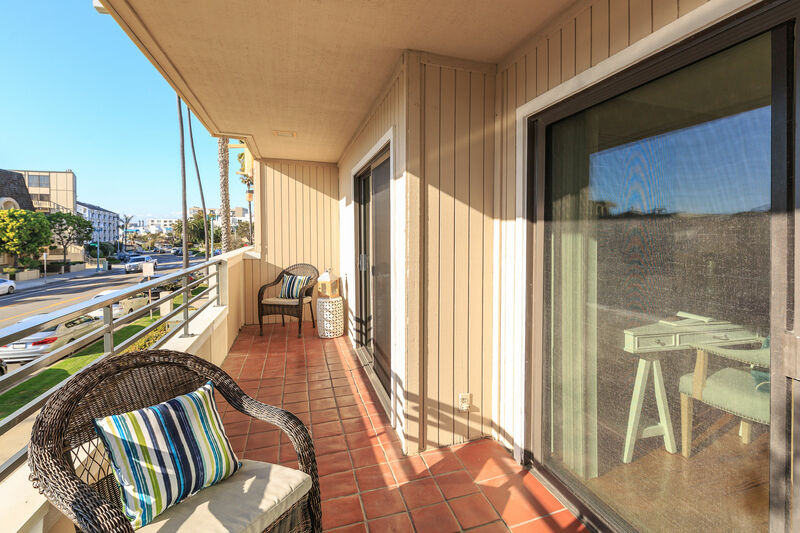 You can relax and entertain from the lovely deck off the living room that overlooks it all! The master suite w/ views is complete with walk-in closet and pretty en-suite bathroom. Another secondary bedroom w/ views and remodeled bath are also on the main floor. The lower level of this home has a nice separate family room w/ fireplace and more windows looking out to those views! 3rd bedroom and office are also located on the lower level – both of those also enjoy the views out the back of the home. There are several fruit trees on the property and a nice 2-car garage.